About 675,000 Americans died after contracting the Spanish flu a century ago. Nearly 5,000 of them lived in the state of Washington, where strict preventive measures may have helped keep the death toll comparatively low. In Seattle, Mayor Ole Hanson and Health Commissioner J.S. McBride banned dances and closed theaters, churches and schools. The King County Board of Health banned public assemblies within the county. All ice cream parlors and soda fountains were closed, and stores and offices could operate only between 10 a.m. and 3 p.m. to prevent crowding on streetcars during the peak rush-hour commute. 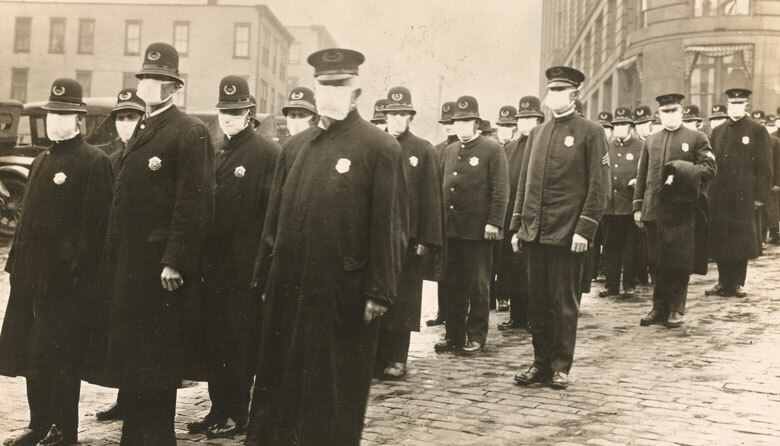 At the height of the pandemic, persons going out in public, including policemen and elevator operators, were required to wear masks made of six layers of gauze. The flu's origin remains unknown, but the name seems to have arisen because reporting about influenza cases was censored in countries engaged in fighting during World War I. Spain was neutral, so stories about the deadly outbreak there appeared in news reports frequently. The flu outbreak claimed an estimated 50 million lives worldwide.